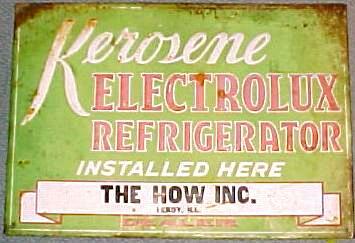 Rare 1930s-40s era metal advertising sign.Features ad for ELECTROLUX Kerosene Refrigerators from THE HOW in LeRoy Illinois.Measures 13 1/2" X 19 1/2" and is made of Tin. . .